The total delivery time for your order is the period of time from when you place your order until the time you receive it, which generally takes 4-5 weeks, depending on artist availability, the complexity of the painting, shipping delays and destination. The total delivery time is comprised of two parts - the processing time and the shipping time. Processing time for a painting is the time from when you submit your order to when the painting leaves the studio. Processing is initiated once payment has been received. The processing time includes the time it takes to process your order and the painting process, which includes painting and drying. The processing time generally takes 2-3 weeks to complete, but may take up to 4 weeks depending on artist availability and the complexity of the painting. Very large or complicated paintings and orders may take up to 8 weeks to complete. Please note: oil paint is a type of slow-drying paint that consists of particles of pigment suspended in a drying oil. The speed with which the oil dries greatly depends on humidity and changes in the weather. Your painting will be painted with several layers of oil paint and each layer must dry before the next layer can be applied. As it is impossible to predict weather conditions and the speed with which the oil will dry, it is impossible to accurately predict when the painting will be dry enough to ship. Shipping time is from when the product leaves the warehouse to when it arrives at your door. Weather-related shipping delays are not within our control. The paintings are shipped rolled inside a protective tube. Once your order has been shipped, we will notify you via email, which will also include a delivery tracking number so that you may check the delivery progress online. The quality of your shipment is our priority and the materials we use to package our products reflect our commitment. Rest assured, if your order contains a combination of products, they will ship separately in the appropriate packaging, and you will not be charged additional shipping. All paintings are coated with a variety of preserving varnishes, covered with a protective sheet and film, and then carefully rolled into a durable tube. 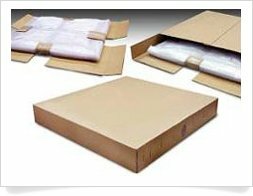 We guarantee your satisfaction and strive to ensure that your order arrives complete and within the estimated delivery time frame. 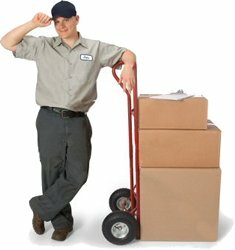 Occasionally, however, packages may become lost or damaged in transit, delivered to an incorrect address, or left with someone who has accepted the package on your behalf, such as a family member, neighbor, co-worker, or building manager. In the unlikely event that your package is lost or damaged upon arrival, please contact us.